Are you in the middle of planning a move? Then, you’re not the only one. Thousands of people move each and every day. In fact, the average American home owner moves every five years or so. For those who currently live in the home they grew up in, they might have a hard time understanding why people move so frequently. After all, a move can be challenging. It is not a decision that you make lightly. The whole process requires proper planning, research, and organization. You must be sure that the move is well-worth the time and effort. We have assembled the most popular reasons why people move to a new city. Find out if your reason is on the list. Check them out below. Many people decide to upgrade to a larger, better home, one that gives them the features, layout, and decor that their current home is lacking. When people are not completely happy with their current home, they sell and move to their dream home. People do not only move to upgrade their home’s design. A move is necessary when the family outgrows the home they are in. How do you know when your home is too small for your family? More space is needed if you feel cramped and are constantly on top of each other. You may also want to consider moving to a larger home as your children grow older and want their own rooms. Therefore, if you find that your home is lacking adequate storage space or the home just doesn’t suit your needs anymore, it may be time to upgrade. On the opposite end of the spectrum is downsizing. Why would anyone want to move to a smaller home? Well, there are many reasons. One such reason is when kids move away to college. After they leave, there are rooms in the home that are not being used. All the unneeded space may leave the owners wanting a smaller property. A smaller home means less rooms to clean. The older you get, the less energy you have to clean a large house. Downsizing presents the perfect opportunity to save on housing costs. In addition, it makes more logical sense. There may be nothing wrong with the house you live in now. However, you may want to move to a better neighborhood, one that is more convenient, safer, or friendlier than your current one. Maybe, you had conflicts with one of your neighbors. On the other hand, maybe your neighborhood is not what it used to be. The traffic is terrible, and it just doesn’t suit your lifestyle anymore. If you have children, you will want to choose a neighborhood that is safe and family-oriented. Choose a location that has parks nearby. You will also want to take into consideration what the school system is like in the area and how far away it is from your new home. It is not uncommon to relocate for a new job in another city. When people are given a new job opportunity that comes with a higher salary and better benefits, there are not many that wouldn’t travel some distance to take it. In addition, if you are someone who is having trouble finding work in your current city, a move might be your answer. A different city can offer a number of employment opportunities. Job transfers are also common. This occurs when the employee is transferred to a different branch of the company in a different city or state. 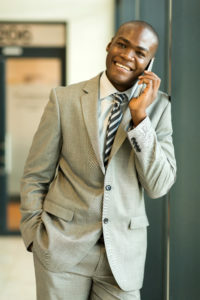 Some companies offer corporate relocation packages, which will cover some or all of the expenses covered in your move. Another job-related reason to move is the commute. No one likes traffic. Some people choose to relocate closer to work to save not only time and money, but their sanity. Learn more about moving for a job by reading our Corporate Relocation Guide. Retirement is another primary reason for moving to another city or state. As we grow older, our needs change, and so does our health. Most people around this age want to live in a calm, relaxing area that has beautiful weather year-round. They also want a place that has a low cost of living, easy access to good healthcare, variety of local amenities, parks, and a low crime rate. As we previously discussed, many people choose to downsize to a smaller home. This includes retirees, who may want to move to a smaller single-story home. This will make it easier to get around, especially if there are pre-existing health issues, such as knee or back problems. Learn more about Moving After Retirement. Sometimes, such as in the case of financial troubles, there is no other choice but to move. 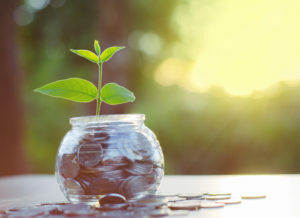 If you are having a hard time paying your bills, then moving to a new state that offers lower taxes and a cheaper cost of living might be the answer you have been searching for. You can save some money by moving to an area that is easier on the wallet. Search for a home that is more in line with your budget. Make sure you account for all your living expenses: utilities, food, healthcare, transportation, home maintenance. 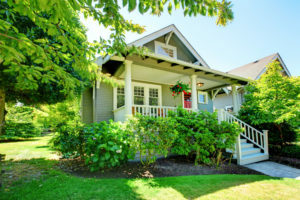 You may get a good deal on your home, but it won’t be worth it if you are spending a lot of money with other expenses. There are some people who do not have a true reason for wanting to move. These are the brave souls who decide to start over somewhere new, despite the challenges that come with it. Sometimes, you just need to shake things up a bit. Moving to a new state is the perfect way to spice up your life. When moving to a new town, you are presented with the opportunity of starting fresh. You get the chance to meet new people, explore new job opportunities, and pick up new hobbies. You moved to the city, because there was something about it that you loved. Therefore, make sure you take the time to see the sights and explore everything your new home has to offer. Many people decide to purchase a new home or sell their old one because of a change in relationship status. Whether getting married, divorced, or moving in with a partner, a move might be necessary. If you have just gotten married, then you are probably looking forward to buying a home and eventually starting a family with your spouse. You may decide to move into your spouse’s home or start the search for a new home. In either case, a move might be in your future. Getting divorced might require you to move houses, as well. One or both of you may decide to move out of the home you shared. Another common reason why people relocate is to be closer to the ones they love. Your family means a lot to you. Therefore, they have a lot to do with where you move to. You want to make sure that your parents are taken care of and your child is going to the best school in the best neighborhood. Many people want to live closer to family for support and so that they do not have to travel so far to spend quality time together. You may decide to move closer to your elderly parents so that you can care for them. In addition, they won’t have to travel far to see their grandchildren. Many families also decide to move for a better school district. Some cities offer a higher quality education than others. When your children reach school-age, you must decide what type of education you want for your child and where you must go to receive that. Let’s not forget about your personal dreams and goals. Many people often move to a new city or state to gain an education and enhance their knowledge. Moving to college is an exciting experience. It is more common in the younger generation. However, there are many older adults who are deciding to embark on this educational journey, as well. 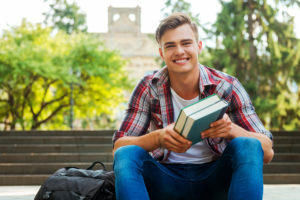 Although your hometown might offer several high-quality educational options, you may want to expand your search outside of the state, even across the country. This will require you to move across state lines. Attending college out-of-state means greater independence and new cultural experiences. Moving to a new area will require you to step outside of your comfort zone. You will get the chance to meet new people in a different region of the country. Learn more about moving to college by reading our Reasons To Ship Your Car To College. If you are moving, you will likely want to bring your car with you. You have two options when it comes to getting your car to your new home. You can either drive it yourself or hire an auto transport company. How do you know which one is the better option? Well, it comes down to what you need and what you want. Do you want to spend hours driving across the country battling rain, traffic, and other aggravations? Most people wouldn’t want to do that, so they would rather go with the easier, safer, and faster alternative – car shipping. However, many people have concerns about the cost. Some think that auto transport services will break the budget. However, there are many great auto transport companies, such as National Dispatch, that offer affordable rates. You must also consider what driving would entail. Driving would require you to pay for gas, food, and hotel stays on the way to your new home. National Dispatch hires only the best. From the time you book to the time your car is unloaded from our transport carriers, you can expect a premier level of customer service. Our drivers have the knowledge and expertise to safely transport your car to its destination. Hiring a professional auto transport company has its benefits. With many years of experience and highly trained staff, you can be rest assured that your vehicle will arrive safely and quickly. One of the most common reasons why people choose to hire a car shipping company is because of the added convenience it provides. With door-to-door auto transport services, the driver will come directly to your home or place of business. This eliminates the need to drop off and pick up your car from a terminal location. It is important to keep in mind that some locations can present a challenge for the transport truck. If this were to be the case, you and the driver would decide on a meeting area, such as a large parking lot. Many people find auto transport to be a safer alternative to driving for a number of reasons. Auto transport prevents the accumulation of added mileage, which can contribute to depreciation. In addition, there are options available, such as enclosed auto transport that can protect the car from weather and road elements. Getting your car to your new home does not have to be stressful. Using National Dispatch will give you peace of mind and make your relocation to your new home go much smoother. You will rest easy knowing that your car is getting cared for as it should on its journey to its new home. Relocating, for one of the reasons we have listed or another, can be both exciting and challenging. It requires a lot of time and effort. Get your car to your new home without the hassle or added mileage that is associated with driving. 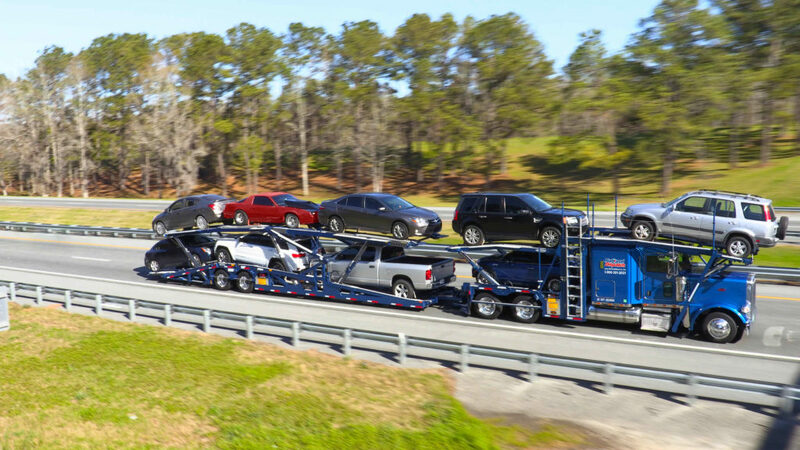 National Dispatch offers nationwide auto transport services. Request a free, instant car shipping quote. No personal information is required. To speak with an auto shipping representative, call us at 800-321-2051. You can also use the online chat feature, located on our website, to chat live with an agent.